Whether you pick up one or a dozen cupcakes at our new location, not only will you be getting the best cupcakes in town, you will also be helping a good cause. 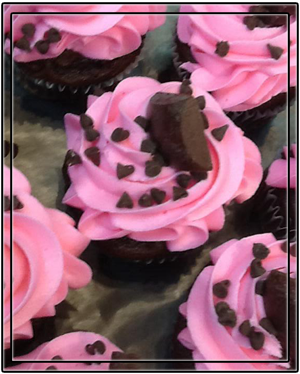 With every cupcake purchase, All Occasions Bakery will donate a portion of the proceeds to the "Susan G. Komen foundation" for Breast Cancer. All of our cupcakes are handmade and decorated. They come in a variety of flavors. You can order your cupcakes with any combination of flavor and icing. You can also add a filling to your cupcake. All of our flavors and fillings are listed on our "Flavors and Fillings" page, along with our icings.